Gorgeous nails need more than color, they need care and love! We at Nykaa believe that the secret to beautiful looking nails is to keep them healthy and pretty. We have raised a notch with our Nail Care Range, where innovative technology meets pristine nails! 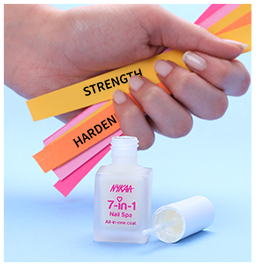 Nykaa 7-in-1 Nail Spa is enriched with actives for stronger, smoother and shinier nails. This mircalous formula reinforces soft, weak, bitten or thin nails. Your nails look naturally healthy and rejuvenated! Blend of Argan, Baobab Oils for nourishing property. All the protein you need to get your nails strong! Nykaa Going Strong Calcium Milk nourishes weak, brittle nails and provides a calcium shield for healthy nails. 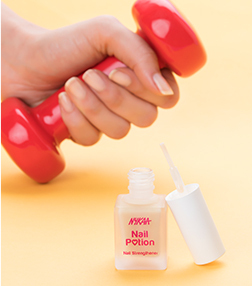 Stronger, smoother nails in just few weeks! 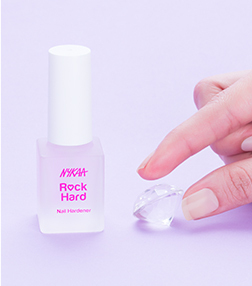 This innovative formula makes your nails resisting to chipping and splitting. Big adieu to brittle, unhealthy nails and say hola to fabulously strong nails! UV filter to prevent discoloration and yellowing for long life. 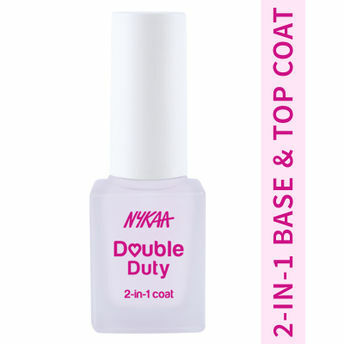 Leave it to our Nykaa Double Duty 2-in-1 nail coat to do the double shifts for you! Use it as a base coat to make your manicure last longer or use it as a top coat to give a fabulous finishing touch! Patented two-fold plasticizer prevents chipping and ensures high-gloss endurance. Has a UV filter to prevent discoloration and yellowing. It?s time to up the defense game of your manicure! 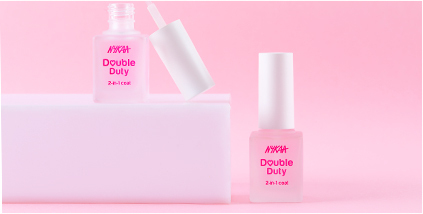 Drench your nails in Nykaa Nail Potion Nail Strengthener and defend your gorgeous nails from chipping and splitting! Go matte or go home! Give a matte-makeover to your favorite color with Nykaa Matte Power Top Coat. Let your nails shine bright like a diamond! 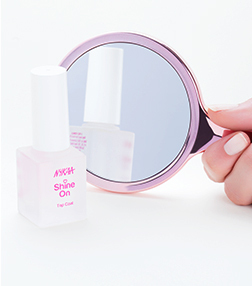 Nykaa Shine On top coat is all you need to give nails a high-gloss finish in one hot minute! Builds instant volume on your colored nails. Prolongs the wear of your manicure. Take your stained nails to the bright side of the life! Banish yellow and stained nails with our Nykaa Bright Side Nail Coat! Concealer for yellowing, stained and poorly aging nails. Formulated with Porcelain Flower Extract for its healing and illuminating properties. Life is all about getting even, and so are your nails! Don?t let the ridges ruin your mani! Fill those ridges and pave the way for a perfect manicure with Nykaa Get Even Ridge Filler! Formulated with Quartz Crystals that boost regeneration. Alternatively, you can also find many more products from the Nykaa Nail Care Range range.